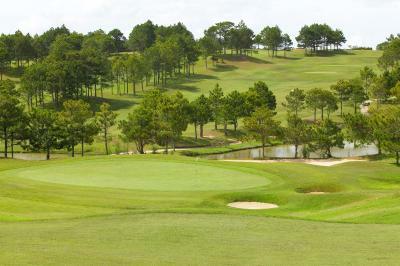 Lock in a great price for Ana Mandara Villas Dalat Resort & Spa – rated 8.6 by recent guests! 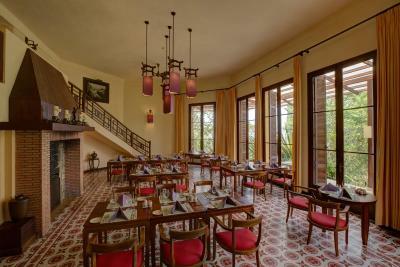 Environment, historical buildings, authentic design, staff, food. 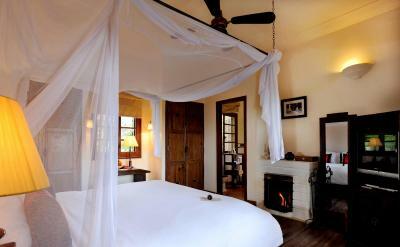 We loved our stay at Ana Mandara. It is a quiet haven with great views, wonderful staff and extremely good food. It was the perfect location to scooter from daily to get out and explore Da Lat. We motorbiked every morning after breakfast and relaxed by the pool in the afternoon. Thao at the front desk was fabulous! - The room has such a lovely extension. - The location was nice and quiet. It preserves the old charm of Dalat. Probably the only hotel that has managed to do that; the Dalat Palace attempted to do this, but it's a bit pompous and formal. 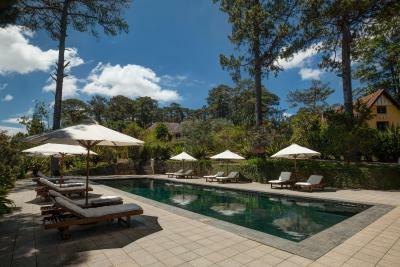 This property is great for children, especially with its heated pool. There were some guests above us who were quite loud, but it was not a huge bother. 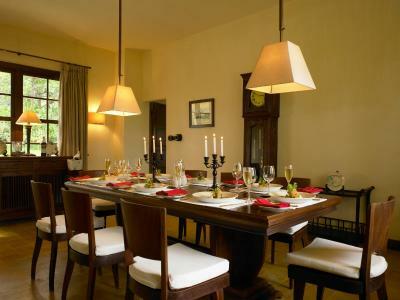 Large colonial villas which are very romantic inside and outside, each including a private little garden with garden furniture. A lot of green between the villas good for a pleasant walk within the resort. Great breakfast place and food. Perfect service. Peace and serenity of the property make it well worth being a little out of the centre. I will definitely stay there again. Great breakfast buffet, but we didn’t otherwise eat in the restaurant. Top quality, as you would expect. The surrounding environment is fantastic. And the staff is very nice and considerate. It’s convenient for the airport. The staff are quite friendly. They organised early check in for me as my flight was in the morning. Everything. The place is peaceful. Beautiful weather to enjoy my cup of coffee. Breakfast was good. The beef stew is deep and spicy. This is my third time to the resort. It is always good to come back. The spa service is the best I can find. 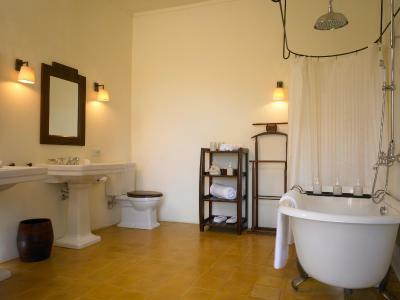 Ana Mandara Villas Dalat Resort & Spa This rating is a reflection of how the property compares to the industry standard when it comes to price, facilities and services available. It's based on a self-evaluation by the property. Use this rating to help choose your stay! 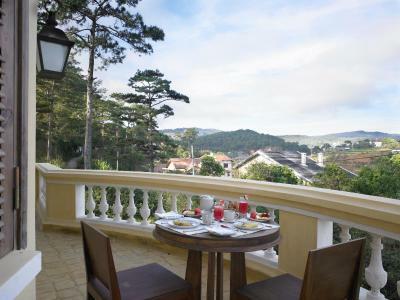 One of our top picks in Da Lat.Ana Mandara Villas Dalat Resort & Spa offers original French colonial villas ideally nestled on the slopes of Dalat city’s rural highlands. 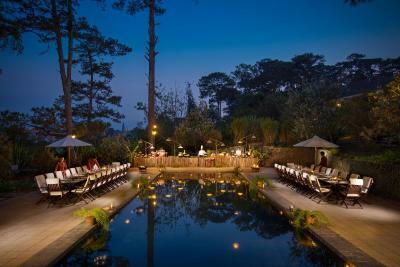 It features an outdoor pool, on-site restaurant and spa center. Guests can enjoy free WiFi access in public areas and free privae parking on site. 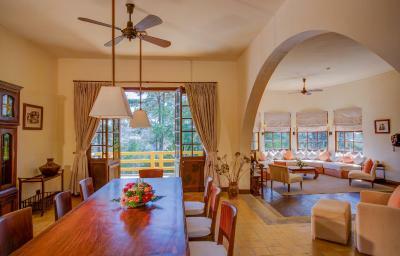 The resort features elegantly furnished villas that include mosquito netting, LCD TVs, and panoramic mountain views. 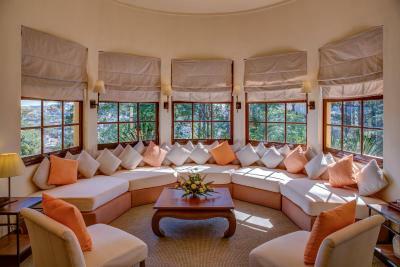 Most villas also include fireplaces and furnished terraces. 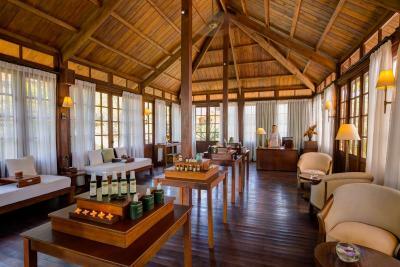 The resort’s La Cochinchine Spa provides 5 treatment rooms with a wide range of therapeutic treatments including foot massage area and different sauna and steam baths. The resort operates a tour desk and 24-hour front desk, providing a range of services, including currency exchange, car rental and airport transfer. 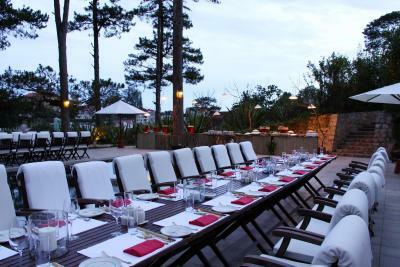 Guests can enjoy outdoor barbecues, dining in the privacy of their rooms, or at the resort’s Le Petit Dalat Restaurant where Vietnamese and fusion cuisine are served. 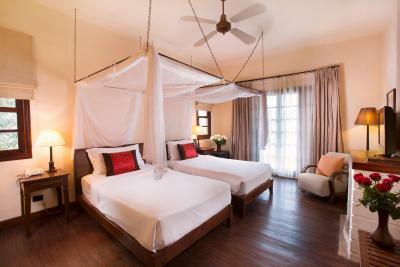 Guests can go exploring the surrounding landscaped areas and local culture and farming countryside. 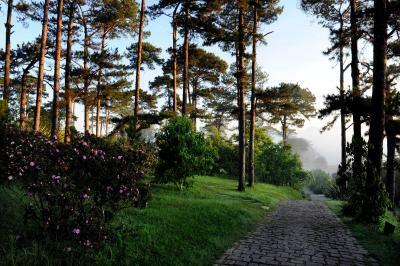 Within 1.9 mi, you can reach many popular points of interest of Da Lat, such as Lam Vien Square, Xuan Huong Lake and Dalat Flower Gardens. The nearest airport is Lien Khuong Airport, 14 mi away. 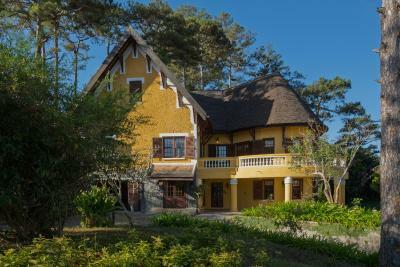 When would you like to stay at Ana Mandara Villas Dalat Resort & Spa? 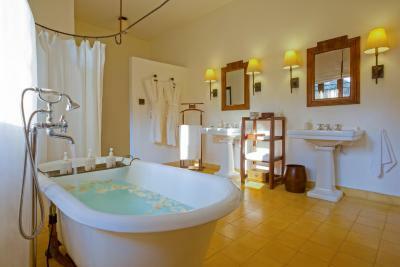 This villa includes a classic bathtub and/or shower. 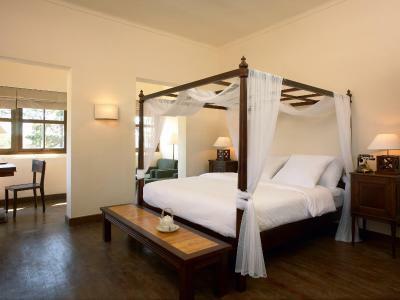 Extra beds cannot be accommodated in this villa. This large villa features a fireplace. Most include private/shared terraces. 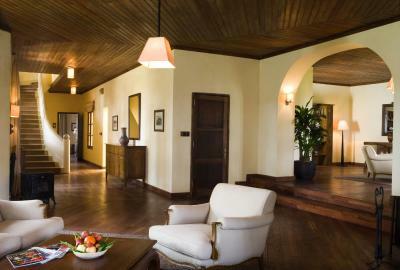 These very large villas feature wide rooms, open fireplaces, and a separate lounge and/or terraces. 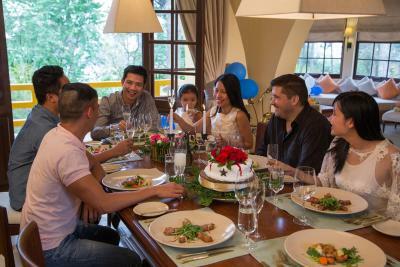 House Rules Ana Mandara Villas Dalat Resort & Spa takes special requests – add in the next step! Ana Mandara Villas Dalat Resort &amp; Spa accepts these cards and reserves the right to temporarily hold an amount prior to arrival. 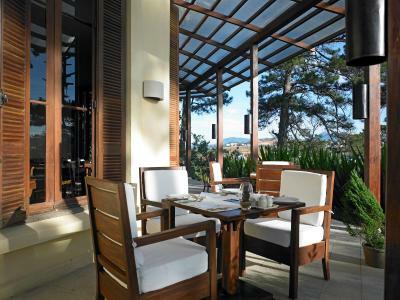 Ana Mandara Villas Dalat Resort & Spa accepts these cards and reserves the right to temporarily hold an amount prior to arrival. More staff needed to clean the pool and around it, plus corners in the villas. We waited a long time to get the lift (golf car) when leaving (it was raining). With a little bit of more attention it could be a great even more unforgettable place! 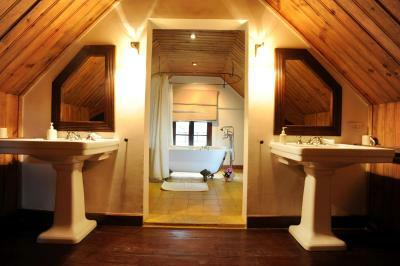 Fantastic and very vast property with several old renovated villas, each of them with a few rooms. 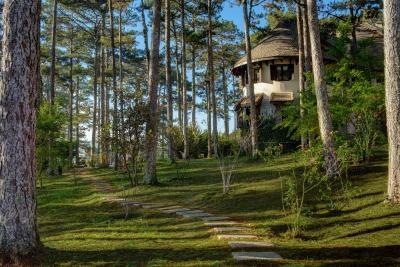 Quiet area where you enjoy nature (pine trees forest, beautiful garden, etc.) which is rare. Excellent breakfast buffet. Good restaurant (we had two dinners) and heated swimming pool! Nice and helpful staff. Very old rooms with broken doors and very old-stained bathroom. Breakfast time is crowded. I held the plate and find a table for about 5 minutes with no one helping. The place was rather lacking in atmosphere. We also thought the restaurant for the evening meal lacked atmosphere and was pretentious. The portions were small and, whilst the food was ok, it was not as good as we have eaten in local Vietnamese restaurants and much more expensive by comparison. Also, the wine was ridiculously expensive at up to £30 for a 150 ml glass. We actually thought the whole bottle was £30, which for Vietnam, is about right. The location, the staff, the organised tour with a wonderful guide, Thanh, the transfer to the airport and the breakfast. The service is great!It’s a good place for family vacation. 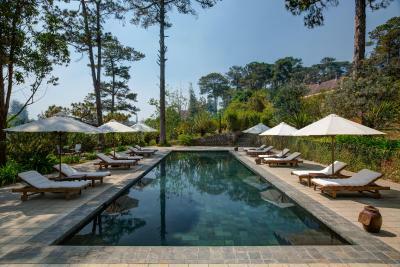 Magnificent French colonial style hotel is actually a collection of villas in extensive grounds. 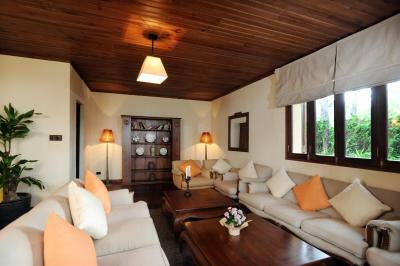 Each villa is subdivided into a few generous rooms, ours had five, with a communal living room. Staff were really excellent. We took both their “country” tour and night food tour. The guide was excellent and happy to tailor both tours to meet our needs. Because the villas were built in 1930s, they are not very sound-proof. We were woken up by our neighbors upstairs who were packing very early in the morning. But we could change room for a more quiet one! 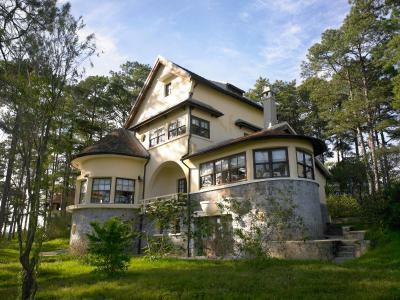 Perfect location and environment: on a hill near the center of Dalat, but in the nature and quietness. Lots of trees and flowers everywhere! 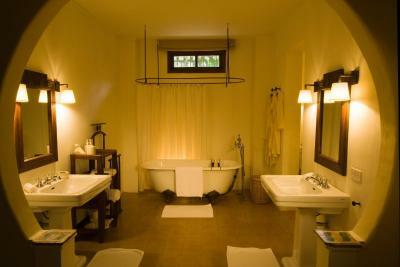 The villas are charming (they kept the colonial style) and but very comfy. The staff is very nice and helpful. Nothing at all, only too short to stay. Breakfast is outstanding with good varieties and quality. 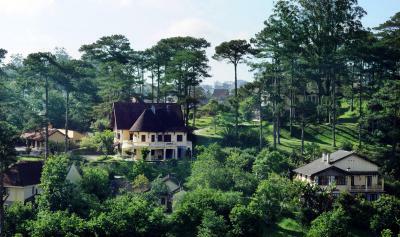 The overall facility is located at the hill of Dalat with french style villas spread out. The environment is extremely nice and calm, in which you will enjoy the highland spirit of this unique city. 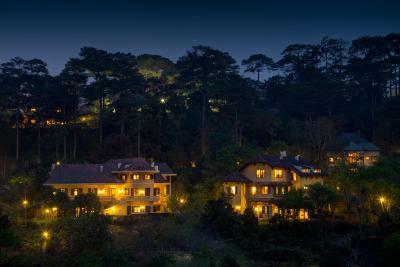 Every staff in this hotel is warm and professional who is ready to help guests enjoying their staying in every moment. 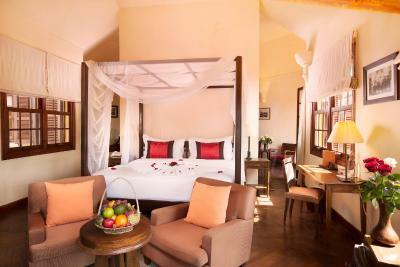 We are staying in one of most beautiful room within resort with stunning view from windows. This is one of most beautiful spot in Vietnam really worth staying longer. We will definitely go back again. Location is far from town center, no entertainment。The traffic is not convenient. beautiful building，good staff, breakfast is fine。and swimming poor is amazing.